The world of trademarks in 2013 once again reflected the overall culture and economy of the United States. Trademark application filings increased slightly by just over 1%. The year’s most popular terms made it into many trademark applications, and the biggest news stories of the year were also reflected in the trademark records. BOSTON STRONG. The Boston Marathon bombing in April was a major news story. Regrettably, within days multiple parties had filed to register BOSTON STRONG trademarks. Most of these applications have been refused initially by the USPTO for failing to function as an indicator of the source of goods or services. REDSKINS. The Trademark Trial and Appeal Board at the USPTO heard oral arguments in a case seeking to cancel the registered trademark rights of the Washington Redskins football team. 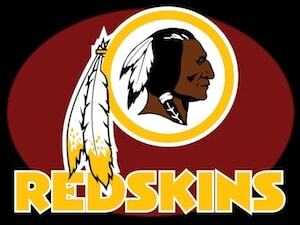 The plaintiffs alleged that the term ‘Redskins’ is disparaging and thus cannot be registered. While the hearing before the Board was held in March, a decision is still forthcoming. The controversy over the ‘Redskins’ name continued throughout the year as players, celebrities, the President, and the NFL Commissioner all provided comments about their position on the name. Top pop culture terms of 2013. The most popular words and phenomena in pop culture made their way into many trademark filings. Such applications included TWERKING, TWERK TEAM, TWERK FOR TROOPS, HASHTAG LABS, HASHTAG LUNCHBAG, HASHTAG CLOTHING, YOLO HOTEL, YOLONOTES, YOLO KIDS, YOLO DONUTS, MUSTACHE SMASH, MUSTACHE PRETZELS, MOUSTACHE BREWING CO.
#HASHTAGS. Dozens of trademark applications were filed with the USPTO in 2013 for marks featuring hashtags, including: #DREAMJOB, #RUNTHISTOWN, #WECANDOTHAT, and #TAGMEBRO. Non-traditional marks. Brands in 2013 continued to expand their use and registration of non-traditional trademarks. Sounds, shapes, colors, moving graphics, and other non-traditional trademarks continue to be effective ways for brands to connect with consumers in a world where it is increasingly difficult to stand out among the myriad of advertisements. For example, Facebook applied to register the design of part of its mobile app menu, Lego applied to register the configuration of is yellow head piece, Pepperidge Farm applied to register the three-dimensional configuration of its Goldfish cracker, and the University of Arkansas applied to register the sound of its “Woooooooo. Pig. Sooie!” cheer. gTLDs. New “dot anything” top level domain names finally began going live late in 2013. To date, their impact on the internet and on brand owners has been less than most feared. Trademark scams continue. Solicitations offering negligible or questionable services continue to get sent by a variety of companies, often with government-looking notices, to US trademark applicants and registrants. At the end of 2013, The U.K. intellectual property office began to crack down on such entities, partnering with the Advertising Standards Authority (ASA) to handle complaints and consider legal sanctions. Perhaps the USPTO will follow suit in 2014? What to look for in 2014. As the economy continues to grow slowly, it is likely that the number of new trademark applications will continue to rise. Expect even more trademark disputes to go viral via social media. About Erik M. Pelton: Erik Pelton® has been making trademarks bloom since 1999® as the founder of Erik M. Pelton & Associates, PLLC®, a boutique trademark law firm in Falls Church, Virginia. The firm has registered more than 1,900 U.S. trademarks for clients and has represented dozens of parties in trademark disputes. In 2013, Erik presented on trademark and branding issues to a variety of audiences, including the American Bar Association, Catholic University School of Law, and two high school classes.